AVONDALE, Arizona – How did two women from Corporate America get involved in Detail Garage? 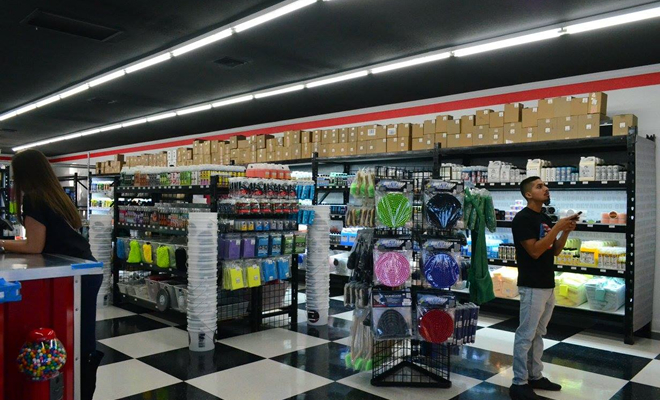 Call it a hobby or call it an obsession: This is what the third Detail Garage store is to Lynn and Wendy – to open in November 2018 in Phoenix. As with every story, it all starts somewhere. Like with most automotive enthusiasts it all starts with researching the best products available for their vehicle and that is the case with Lynn and Wendy. The search began looking for an Eco friendly, economical and easy-to-use product to wash and protect their car. A trusted ‘car’ friend introduced them to Chemical Guys and it all started with an initial purchase of a microfiber towel, it was all downhill from there. The addiction of the Chemical Guys products quickly set in; the running joke in the family is that they had so many deliveries to the house, family and friends threatened an intervention. Lynn and Wendy began to use the Chemical Guys products and became loyal customers and huge fans. 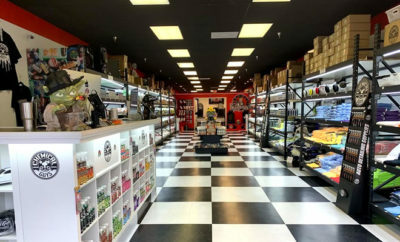 Over time making several purchases online and after learning that there is no retail location close-by to purchase products, the idea of bringing Chemical Guys to Arizona started to brew. Both Lynn and Wendy started their research and found a few businesses that carried some product lines but, none of the businesses catered exclusively to the car care community. 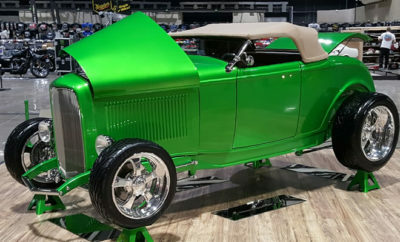 In continuing with their research, they spoke with several car clubs in the area and many members either drove to California for their Chemical Guys products or ordered online. That’s when Lynn and Wendy quickly realized Arizona was ready for a Detail Garage. Lynn and Wendy have proven that with hard work, perseverance, being receptive to input from your family, friends and the experts within the industry you too can live out your dreams and make them become a reality. The newest store will be the 37th store opened since the first franchise launched in California just over 2 years ago – with other locations being launched from the U.S. (multiple locations), Canada and Sweden. The fast-developing store concept offers opportunities for car care enthusiasts to become part of the world-wide family by opening and running stores on behalf of Detail Garage. About Detail Garage: Detail Garage was founded by professional auto detailers and car care enthusiasts. Its mission is to provide auto enthusiasts around the world with the highest quality car care products. 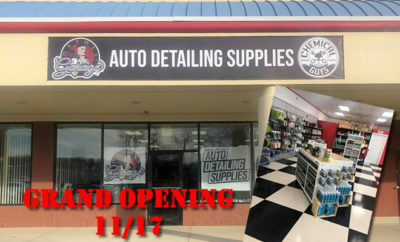 The company prides itself with its relaxed store atmosphere and commitment to providing local car care communities with a place to buy products, research, discuss and learn about car detailing. Detail Garage offers a wide variety of wash chemicals, mobile detailing products and accessories and works exclusively with brands such as Chemical Guys, Smartwax, TORQ and Hex-Logic.